Generally the postman wears a Khaki uniform. But sometimes for change, he wears casual clothes. He carries a leather bag which contains letters, parcels, money-orders and cash. Most postmen use bicycles but there are some prefer walking especially in hill areas. Earlier the postman does not get high salary. But he works very hard. He perform his duty faithfully whether it is hot summer or cold winter, he is always active. In the old days, the postman was not very well educated. It was enough if he knew how to read and write English and Hindi. But today many of the postmen are college graduate. When we think of hard work that the postman does to bring us news, we admire him. He deserves all praise. The Postman is a public servant in the true sense of the term. While all the government servant lord over the public, he serves. His jobs consist in bringing us letter, parcels and money orders. We keep looking for his arrival and welcome him when he comes. He brings us news of our kith and kin, friend and acquaintances. He wears a Khaki uniform. One can easily recognize him when he flits about with his bag slung over his shoulder, and a bundle of arranged letters in his left hand. He is always welcome in the postman’s hut as well as the rich man mansion. As all the fingers of the hand are alike, all the postmen are not willing and polite workers. There are some who do that job in the improper manner, delay the delivery and miss-deliver letter. His duty is a bit tough. It is particularly so when he has to serve in a villages. 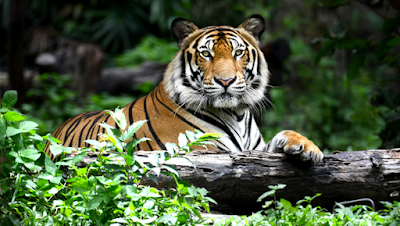 He has to pass through an un-inhabited area or a jungle or wade through a streamlet and travel long distances in all weathers, intense heat, biting cold and heavy rains. He does his duty well and efficiently, sometime at great risk to his life. The postman’s annual holidays are limited, the job difficult and he can easily brought to book for trivial mistakes. With that he gets, he can hardly keep the wolf from the door. The life of a Postman is not an enviable one. Being an government servant, he can’t accept any money from the public, but he does expect some tips on certain festivals or whenever he brings some good news. Among all government employee he is, perhaps the best behaved. He always has a smile for all. 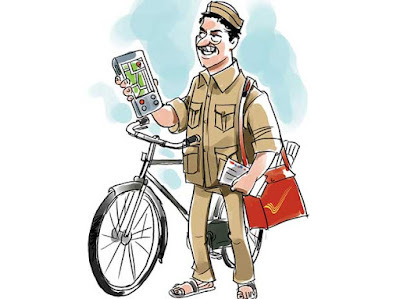 Only a person with robust health and strong physique can do full justice to the duties of a postman. Now days his future is quite promising. Higher secondary pass candidate can apply for the jobs, sometime requires graduate level depending upon the requirements are coming forward for the job. The government has, therefore, begun to take interest in improving his lot.